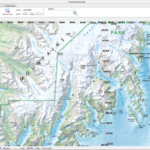 TrueNorth is desktop software that runs on Microsoft Windows operating systems, giving you the power of an industrial Geographic Information System (GIS), with the ease of use of a word processor. With cloud integration, support for social media, and mobile operations, TrueNorth can edit, recombine, and create data that can be used in any situation. 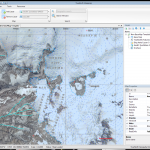 The most powerful features of a Geographic Information System are now available in a general purpose mapping application. 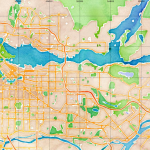 Turn on or off different maps, and overlay your own data. Most software tries to lock you into to one file format, mostly because they want to sell you map data. TrueNorth takes the opposite approach; we will try to support any any data you can acquire, whether is’s free, or purchased. 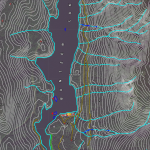 What’s the point of having mapping software if you can’t read the data from your GPS unit? 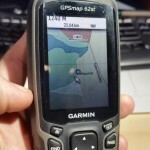 TrueNorth comes with built-in support for Garmin GPS units. Other location-enabled devices are supported through the GPX file format. 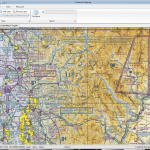 TrueNorth comes with built-in support for multiple monitors, and multiple maps open at the same time. Users can drag-and-drop windows onto different monitors, dock them, arrange them into tabs, and save formats for later use. 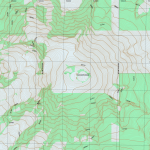 TrueNorth produces navigable maps with grid references, scale bars, and printed to standard 1:20,000, 1:50,000 or any scale you want. 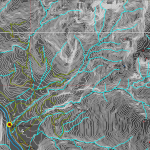 Print a map of any area, marked up with your route, and go have an adventure.